One Nordic route from Tallinn is axed but two remain, as aircraft and crews from three unprofitable routes go elsewhere. 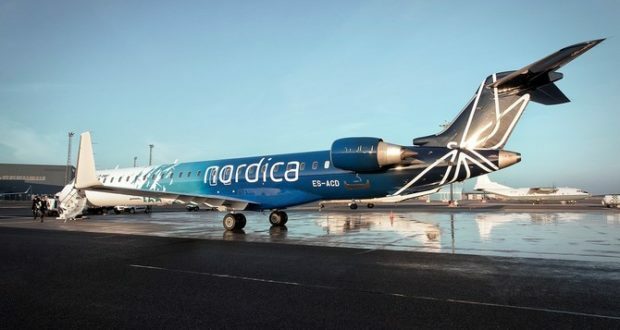 The Estonian airline Nordica has revealed that in January it will stop flying several routes that “the current competition conditions render economically unviable”, a move it says will free up aircraft and crews to be used instead for more profitable subcontracting services. Starting from January 14, the carrier’s winter schedules will no longer include flights between Tallinn and to Oslo, Amsterdam or St Petersburg. This means the schedules will include only eight direct routes from Tallinn, to Copenhagen, Stockholm, Vilnius, Brussels, Kyiv, Warsaw, Vienna and Munich. The closure of the St Petersburg and Amsterdam routes is because of limited demand, says Hannes Saarpuu, head of the Nordic Aviation Group. The Oslo closure, however, is the result of fierce competition making it financially unviable to fly to the Norwegian capital as the third most popular carrier on the same route. “We’re better off channeling our resources into projects that are profitable and boosting our financial results,” he explains. Nordica is the only carrier flying direct from Estonia to the Russian city, while airBaltic, which is intensifying its presence in Tallinn, is a competitor on both the Amsterdam and Oslo routes. With Oslo, Norwegian is the third airline on the route. Passengers affected by the closure of the routes will be offered alternative solutions, but Saarpuu says no one will have to worry about their ticket. Nordica currently operates 19 aircraft, but only ten of these start their day from the company’s Tallinn base. For the rest, it “exports its flight services” to Sweden, Denmark, Poland and the Netherlands operating routes outside the Baltics. Nordica maintains that its subsidiary Regional Jet continues to grow and demand for new pilots and cabin crew remains high.